Konami have introduced a addon product for fans of Konami's music games like Guitar Freaks or Drum Mania, Mahjong Fight Club, Pop n' Music 9 and so on. Players can now earn points/features playing these popular games and spend them at the ee'Mall. 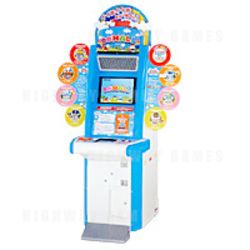 By playing these music games players can accumulate points/features and use those points/features to get hidden characters, songs, or stages.